Property Location Days Inn Philadelphia Convention Center is in the heart of Philadelphia, walking distance from Pennsylvania Convention Center and Pennsylvania Academy of the Fine Arts. This hotel is close to Liberty Bell Center and Independence Hall. Rooms Make yourself at home in one of the 60 air-conditioned rooms featuring flat-screen televisions. Complimentary wired and wireless Internet access keeps you connected, and cable programming provides entertainment. Bathrooms have complimentary toiletries and hair dryers. Conveniences include desks and coffee/tea makers, as well as phones with free local calls. 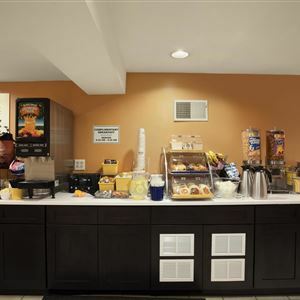 Dining A complimentary continental breakfast is served daily. Business, Other Amenities Featured amenities include complimentary newspapers in the lobby, a 24-hour front desk, and multilingual staff. Self parking (subject to charges) is available onsite. 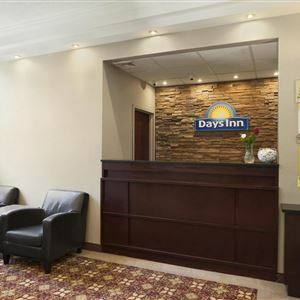 Days Inn Philadelphia Convention Center is in the heart of Philadelphia, walking distance from Pennsylvania Convention Center and Pennsylvania Academy of the Fine Arts. This hotel is close to Liberty Bell Center and Independence Hall. Make yourself at home in one of the 60 air-conditioned rooms featuring flat-screen televisions. Complimentary wired and wireless Internet access keeps you connected, and cable programming provides entertainment. Bathrooms have complimentary toiletries and hair dryers. Conveniences include desks and coffee/tea makers, as well as phones with free local calls.